Jay Brandenberger serves as the director for Research and Graduate Student Initiatives at the Center for Social Concerns, director of Academic Community Engagement, and as concurrent associate professor in the department of Psychology at Notre Dame. He directs research initiatives at the center, working with colleagues to examine the developmental outcomes and best practices associated with center courses and programs. He is the editor of the center's research report series, and facilitates ongoing longitudinal research focusing on the impacts of community engagement. Brandenberger also coordinates—with center colleagues—various academic initiatives at the center, fostering partnerships with academic units on campus. He teaches interdisciplinary courses incorporating community-based learning and research. 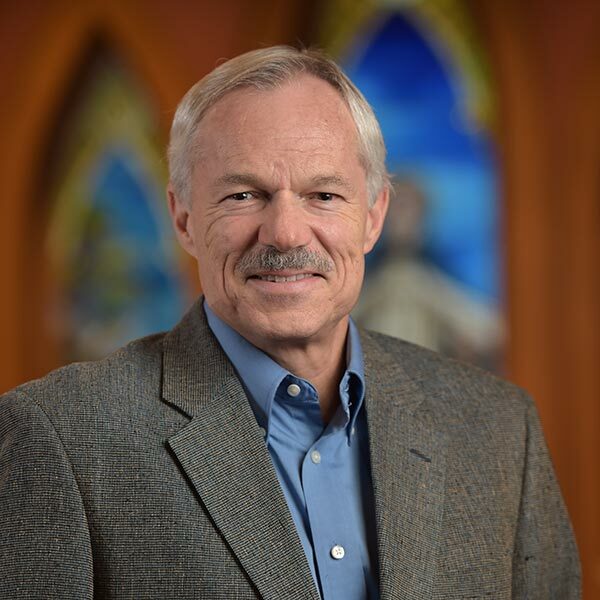 He is also a fellow of the Institute for Educational Initiatives, and a past recipient of the Notre Dame Frank O'Malley Undergraduate Teaching Award. His research interests include social cognition, moral and ethical theory/development, and assessment of student outcomes in higher education. He serves on the review boards of various journals, and has collaborated on national research initiatives examining means to enhance social responsibility, leadership, and moral development. His work has appeared in a variety of publications, including the Journal of Applied Developmental Psychology, the Michigan Journal of Community Service Learning, and the Journal of College Student Development. Brandenberger joined the center and Notre Dame faculty in 1991 after earning his Ph.D. in educational and developmental psychology from the University of Pittsburgh. He is a 1978 graduate of Notre Dame, with a B.A. in English. Prior to his work at the center, Brandenberger helped to found Guadalupe Azlan school in Texas for children from Mexico, and taught at Waynesburg College (PA) and the University of Pittsburgh.